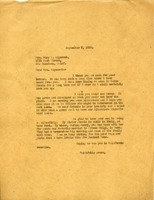 Letter thanking for previous letter and expressing feeling about Berry. 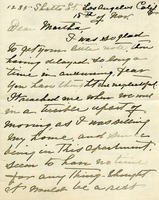 Martha Berry tells Mrs. Lipscomb that she wishes she could see the school. Also tells of Literature being sent her way soon. 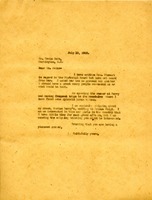 Letter discusses arrangements for an upcoming Pictorial Award for Miss Berry and the wedding of her niece, Marian Berry, to Prince Chigi.